On the 1GE point, the vast majority of servers can’t generate even 1GE of HBA traffic. The market driver for 10GE is not expected to take hold until 2009 at the earliest. That means 18 months to make a 10GE iSCSI adapter…. mmmm, I would be confident of that. I don’t subscribe to this view. It possible to take a view that many companies are guided, if not led, by the vendor. Customers talk about partnering with the vendor to be successful. This leads to a mindset of ‘if the vendor says so, it must be true’. I am minded of the story of James Dyson who invented the dual cyclone vacuum cleaner. Everyone told him that if a bagless vacuum cleaner was possible Hoover, the dominant manufacturer, would have invented it. I believe that FibreChannel is led by vendors, and the vast majority of customers do not need even the FibreChannel that is in use today. We need to keep in mind that storage folks have a job to do and have been doing it just fine so far. iSCSI is better, no argument there, but it’s different and not necessarily simple to understand and use for someone, who is already familiar with FC. Also, it’s one more thing to deal with and people are not just going to rip and replace FC because iSCSI is better. FCoE gives them a migration path and over time might make even iSCSI easier to adopt. Summary “because thats the way it always been done”. What a load of tosh. If we always took that attitude, I would still be using Prime minicomputers with ArcNet or FDDI networking. As a Network Architect, I am looking for opportunities to find competitive advantage. A key inflection point in product lifecycles need to gripped and exploited for move the network ahead. Almost every Fortune 1,000 company has a large installed base of FC storage arrays and SANs. Good for them. 99% of people eat junk food, even knowing that it is bad for their health. I bet you could also say, “Almost every Fortune 1,000 company has a large installed base of iSCSI Storage Arrays and SAN” and that would be true as well. My experience of large companies is that they will achieve a minimum level of function and develop none or only some of the advanced features. Complexity in large companies usually means outages and thus is not implemented. Once again, this is about building a Unified Fabric over Ethernet and allow for the smoohest, realistic transition possible. iSCSI and FCoE should not be positioned as alternatives as they address and solve different problems. I am all for unified fabrics, however, I completely disagree that iSCSI and FCoE solve different problems. Both iSCSI and FCoE provided network access to storage servers. Period. Differences in features or capabilities will be overcome and diverting money and resources into FCoE just means that iSCSI will take longer. I hope other Network Architects will agree. (1) when comparing FibreChannel switches versus Ethernet switches. Most servers can’t even generate 1GE of HBA traffic? As a network *and storage* architect who has watched a fairly slow processor push nearly 700MB/s – yes, megabytes not megabits – through a dual 4Gb/s FC adapter, I find that claim ridiculous. There are a half-dozen parallel filesystems out there which use commodity hardware as servers between data-generating (or data-needing) compute nodes and storage. The typical planning figure for such servers is around the 400-500MB/s range, which is well beyond what you seem familiar with. You’ve made the claim elsewhere that “advances in protocol stack implementation and finer tuning of the congestion control mechanisms make conventional TCP/IP performing (sic) well even at 10 Gb/s and over” and if they can push that much data with TCP/IP then they can push that much without it too. The question then becomes why they should bother doing it the iSCSI way. FCoE is an attempt to trade network-protocol overhead for storage-protocol overhead. Whether or not that’s a good idea, it’s not likely to be worse than something which offers both kinds of overhead – iSCSI. A+B > A for all positive values of A and B.
I know full well how painful it can be to develop, deploy, and manage an FC SAN. You seem fond of the “community argument” when it favors your own networking community, but there’s a storage community too, y’know. Their efforts in developing models and tools and methodologies shouldn’t be taken too lightly. Nobody’s going to throw out all their FC gear tomorrow just so they can be under the same “support and management infrastructure” that their local network folks (often organizational rivals with their own nefarious motives and questionable track records) prefer. Adopting iSCSI conventions means *more* infrastructure fragmentation in the short to medium term, as far as many are concerned. FCoE is storage trying to be networking, and iSCSI is networking trying to be storage. Maybe you should consider the possibility that *neither* really offers true convergence. That will only happen when more people have actually lived life on both sides of the fence instead of taking pot shots at each other across it. My concern with this statement is that you are attempting to validate Fibrechannel as a solution for everyone, which it is not. Fibrechannel is a technology that fits storage vendors and their revenue model, not customers needs. I refute completely the argument that there is divide between storage and networking. In fact, the most effective argument in favour of iSCSI is that there is only one network, one set of resources with a single team to manage it. Indeed, I actively promote server and network integration by working closely together. 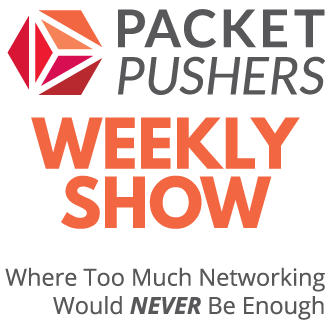 Challenge: Why should so-called storage people build their own network ? This type of balkanisation just creates problems in large teams. If you decide to build your own network (which I have done in the past), then use a separate set of Ethernet switches and use iSCSI. There is no fundamental technology capability in FC (excluding certain features that have not been developed for iSCSI because FC has diverted resources). – readily access human infrastructure with experience on Ethernet and IP. – pay less capital costs to acquire switching infrastructure. 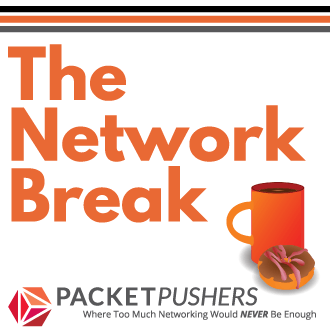 – get a smoother upgrade path as there are more options in Ethernet. The pain you feel in building a FC SAN is because you are working with a niche technology that will never have the investment it needs to develop and mature. The rush by storage vendors to include iSCSI in all of their products should demonstrate to you that the momentum is leaving FC. Further evidence is that there will be no further developement of FC to higher performance (beyond 8GB/s I think). I make the argument that extending the life of FC by using FCoE is hanging to obsolete technology. Designers and Architects should understand this and make rational choices to use FC if you must, but use iSCSI where you can. Nice blog BTW. Some good information there. However we might wish it to be, there is a divide between storage and networking today. Furthermore, convergence of unification can not and will not occur by people who only have experience in one of the two insisting that the whole world adopt their conventions and methods and technology. The solution to Balkanization is not ethnic cleansing. It has to be a compromise. Yes, storage experts can learn a lot from their networking counterparts. I consider myself a better storage architect for having worked in networking as well. I also consider myself a better network architect for having worked in storage, because networking experts also have a lot to learn from storage folks. I don’t want a storage system designed by somebody who only understands IP networking any more than I want a network designed by somebody who only understands FC storage, and neither would any sane customer. When you say that transitioning to IP storage is a way to “build useful career skills” you imply that the skills developed working with storage are less useful. That’s extremely offensive, and one insult deserves another. You seem to love talking about “designers and architects” and what they want, but as long as you insist on looking at data-center problems from only one perspective you’re only half of one. Don’t criticize something just because it’s unfamiliar to you, lest you earn the undying contempt of those who know it and know what you know as well. Learn what lessons you can from it, teach what lessons you can from your own experience, and try to *synthesize* the two approaches instead of placing one above the other. by Dante Malagrino at Cisco. Clearly, the Cisco Product Marketing Manager for FCoE agrees that iSCSI will be the long term winner. It is also clear from press releases by Intel, HP, EMC et al that FCoE is a migration path to iSCSI, not an end in itself. The FibreChannel standards body has abandoned all development of faster FC beyond 8Gbps. If you want to see what iSCSI can do when serious resources are deployed to develop the missing pieces of operational and management capability, have a look at Left Hand Networks – http://www.lefthandnetworks.com/. It is this type of information that leads me away from Fibrechannel. I do not reject it, I just point out it’s long term inviability. To be clear, Fibrechannel isn’t going away this year or next year. But, my opinion, long term decisions (more than two years) should be based on the retirement of FC from mainstream networking.